You may not realize but everyday we come across hundreds of products that have led to the suffering of millions of animals. Right now, thousands of mice, rats, rabbits, primates, cats, dogs, and other animals are pining for help in their cold inhospitable cages in laboratories across the UK, where they are forced to endure excruciating experiments. More than 100 million animals every year undergo painful experiments in cruel chemical, drug, food and cosmetic tests. 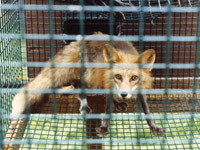 According to PETA (People for the Ethical Treatment of Animals) the exact numbers of animals who have been tested and killed aren’t even available because mice, rats, birds and cold-blooded animals – who make up more than 95 percent of animals used in experiments – are not covered by even the minimal protections of the Animal Welfare Act and therefore go uncounted. Yet each of us can help save these defenseless animals from misery and death by opting to buy cruelty-free products, writing to our government and demanding the implementation of effective non-animal tests by agencies and corporations, and by donating to charities that don’t experiment on animals. There are countless ways that we can live our everyday lives without hurting our world’s beloved creatures, starting with eating the animal-friendly way. Did you know that studies of human evolution have shown that our ancestors were vegetarian by nature and that the structure of the human body is not suited for eating meat? Leading health experts agree that going vegan is the single best thing we can do for ourselves. Porridge: Oats cooked with soya milk on the stovetop or hob is perfect for those chilly winter mornings. Try adding some flax seed or coconut oil at the end of cooking and lots of chopped dried fruit for a nutritious hearty breakfast. Breakfast burrito: Wrap guacamole, refried beans and leftover stir-fry veggies in a whole-wheat tortilla for an easy and filling start to the day. Banana boats: Split each banana lengthwise and spread each half generously with peanut butter. Top with raisins, drizzle on agave nectar, and dust with cinnamon. Beeswax: is found in candles and polishing products and is produced by bees for their own use yet the harvesting process for beeswax results in the deaths of millions of bees. Natural alternatives include natural paraffin, vegetable oils and fats and ceresin, also called “earth wax”. Down: is used in quilts, parkas, sleeping bags and pillows, and is taken from either slaughtered or “live-plucked” geese. Instead try looking for synthetic or other natural substitutes. Fur: is sometimes used in clothing, shoes, upholstery and accessories, and is obtained from animals – usually minks, foxes, rabbits and sometimes dogs – who were cruelly trapped and killed or raised in intensive confinement on fur farms. Faux fur is widely available and is usually much cheaper. Leather: including suede, calfskin, sheepskin and alligator skin is often used in furniture upholstery. And the chemicals used to keep leather from biodegrading have actually been linked to nervous disorders, asthma, cancer and other serious illnesses. There are loads of alternatives to these including cotton, canvas, nylon, vinyl, ultrasuede, pleather and faux leather. Wool: including cashmere and angora comes from cruelly and intensively reared sheep, rabbits and goats. Wool production uses enormous amounts of resources and energy to breed, raise, feed, shear, transport and slaughter these animals. Alternatives include cotton, cotton flannel, synthetic fibres and ramie. It is also vitally important to look for products that aren’t tested on animals. Cruelty-free cosmetics, shampoos, body-care products and household cleaners are easier than ever to find. Just look for the Humane Cosmetics Standards’ (HCS) leaping bunny logo on all of your personal care and household products, or search for the full listings online at GoCrueltyFree.org (do mind that not all approved products carry the logo). Superdrug, Sainsbury’s and the Co-operative’s own brands are all HCS-approved, so there’s no need to break the bank on specialty products. Whether you follow all of PETA’s tips or just a few, you are helping to take make a difference to these poor animals lives by taking a stand against the companies who exploit them and make their lives literally unbearable. If we try making conscious decisions over the products we buy then all of us can live a cruelty-free lifestyle whilst preparing for our future without inadvertently costing the animals theirs!